If you liked this show, you should follow DivaTalkRadio. 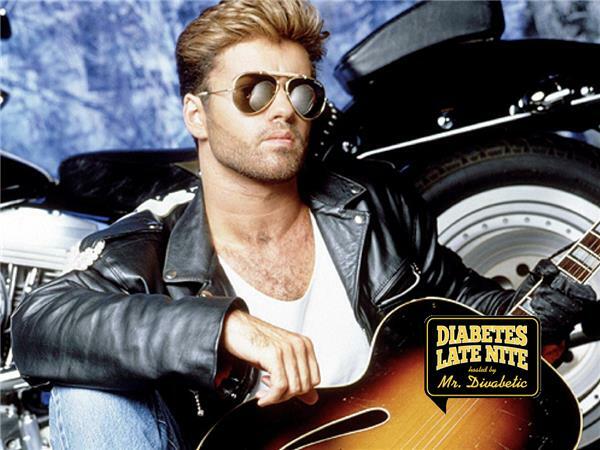 Tonight we’re encouraging you to ‘LOVE YOURSELF, LOVE YOUR DIABETES HEALTH!’ with musical inspiration from George Michael. George Michael was one of the leading pop stars of the 1980s and '90s. His 1987 album 'Faith' won a Grammy for best album of the year. So many of us are programmed to constantly be taking care of others. We say there isn’t enough time to concentrate on ourselves or we think that it would just be an unnecessary indulgence. However, the truth is making yourself and your diabetes health a priority in your life is much more than just a great way of life, it's also a smart way to avoid a diabetes health-related complication. Guests including Chef Ward Alper aka ‘The Decadent Diabetic, ‘Rich In Love’ style blogger, Vintage fashionista, model and diabetes advocate, Doris Hobbs, the Charlie’s Angels of Outreach, Poet Lorraine Brooks and Laura Laria, MA, CASAC-T, Addiction Counselor and Developer of t'he Well Armed Diabetic'. Throughout the podcast we will be featuring music by George Michael courtesy of SONY Music. This podcast supports the 'Spare A Rose, Save A Child' campaign and is part of #DPodcastWeek.